Once considered an 'out-of-the-box' thinker with close ties to the US, Crown Prince's position now precarious after killing of journalist. Saudi Crown Prince Mohammed bin Salman (MBS) has been called the world’s most dangerous man - and an out-of-the-box thinker who would be able to implement sweeping reforms in Saudi Arabia and promote peace between Israel and the Palestinian Authority. The de-facto ruler of the oil-rich Kingdom was the darling of the Trump Administration in the Arab world and together with Jared Kushner, Trump’s envoy for the peace process between Israel and the Palestinian Arabs, MBS worked on an out-of-the-box solution for the hundred-year-old conflict. Kushner built a personal relationship with the Saudi Crown Prince and was the driving force behind Trump’s maiden trip to the Middle East which started in Saudi Arabia. In January this year, MBS invited Palestinian leader Mahmoud Abbas to Riyadh where he told him he would have to suffice with a Palestinian state minus. The Saudi Crown Prince showed Abbas the parameters of Trump’s deal of the century which clearly shocked the Palestinian leader and led to his decision to boycott the Trump Administration. MBS, together with Egyptian President Abdel Fateh el-Sisi later pressured Abbas to accept the draft deal which was the result of a series of meetings between Kushner and MBS. The Saudi leader later ordered his diplomats to brand Hamas a terrorist organization something that owed him the ire of the Palestinian Arabs. It was clear that under Mohammed bin Salman Saudi Arabia had become a major player in the rapidly changing relations between Israel and the Sunni Arab states. But then came the murder of Saudi journalist Jamal Khashoggi who wrote critical articles of MBS for the Washington Post after he fled Saudi Arabia and settled in the US. As reported by Arutz Sheva Khashoggi was murdered by a team of 15 Saudi officials in the country’s consulate in Istanbul, Turkey. The team not only murdered Khashoggi but also dismembered his body after which his head was taken to Saudi Arabia according to Israeli journalist Nahum Barnea. At the same time, MBS continued to deny he knew anything about the decision to assassinate the journalist who according to British media was about to reveal that Saudi Arabia had used the chemical agent Napalm during the bloody war in Yemen. To stave off the brewing international storm which now threatens his future as the heir of King Salman MBS invited Khashoggi’s son Salah who was forced to shake hands with him and to hear condolences of the man who most likely ordered the murder of his father. MBS’ denials about his role in the Khashoggi assassination are not convincing, however, and his decision to arrest 18 Saudi officials who he says were responsible for planning and execution the murder of the journalist is a ploy meant to save his regime. The 32-year-old Saudi leader is ruling Saudi Arabia as a classical autocrat and takes all important decisions in the country. As long as these decisions curried favor in the eyes of the West MBS was able to come away with reckless acts, such as the sudden blockade of Qatar and the detention of Lebanese Prime Minister Saad Hariri who was forced to submit his resignation when visiting Riyadh. As Barnea pointed out in his article for the Hebrew language newspaper Yediot Aharonot MBS has a “dark side”. The Saudi ruler is suffering from paranoia and he envied the Israeli spy agency Mossad especially after the daring raid in Iran where the Mossad seized the nuclear archive of the Islamic Republic in January this year. MBS was, furthermore, obsessed with the assassinations the Mossad carried out against Iranian scientists in both Iran and Europe, according to an American source who was interviewed by Barnea and his colleague Smadar Perry. 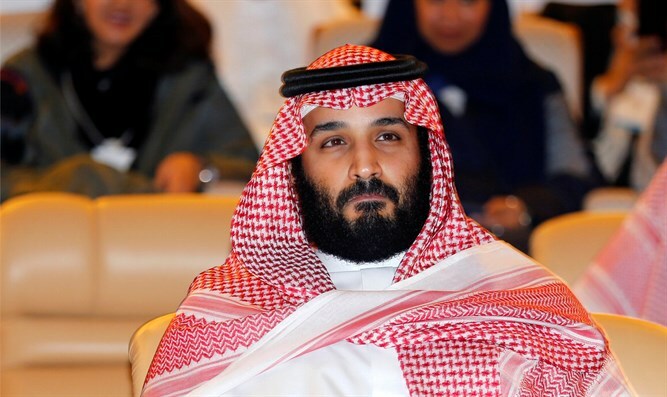 His obsession with the Mossad reportedly played an important role in MBS’s decision to assassinate Khashoggi in Istanbul but “the Crown Prince's men were exposed not only as cruel, unscrupulous murderers, but as complete zombies and as a farce on a James Bond film,” according to the Israeli journalists. The source suggested that the US Administration would pressure King Salman to appoint “a responsible adult” who would work in tandem with his son in order to avoid a situation the alliance with Saudi Arabia “would explode into the face” of the United States. The Administration now acknowledges that the “murder” of Khashoggi “undermined regional stability”. Mattis’ remarks signaled growing unease about MBS in the Trump Administration and could lead to a policy change vis a vis the so-called peace process. The sudden historical visit by Israeli Prime Minister Binyamin Netanyahu to Oman, where he discussed the “challenges facing the Middle East” could be the first indication of the end of MBS’ role as a mediator in the Palestinian-Israeli conflict. Netanyahu called Oman’s leader Sultan Qaboos bin Said, “a very experienced and impressive man”and reportedly discussed Oman’s role in advancing peace in the region and Israel particularly.